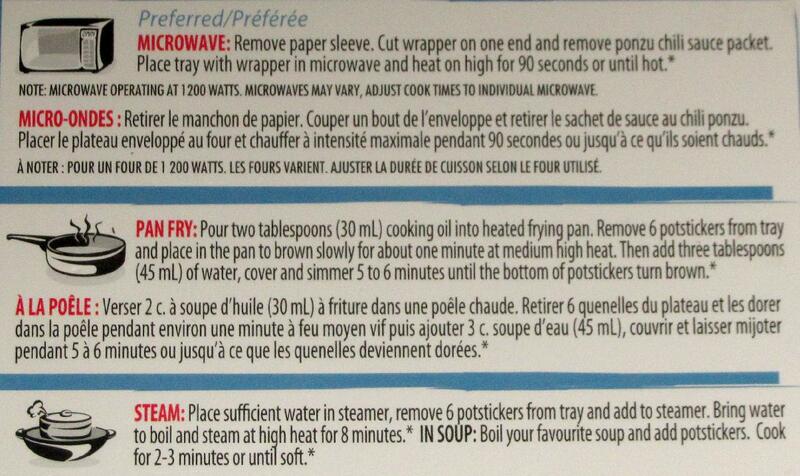 The cooking instructions on the reverse of the package provide for 4 different preparation methods; to wit: microwaving, pan-frying (which is the actual ‘pot-sticker’ method), and both steaming and boiling. 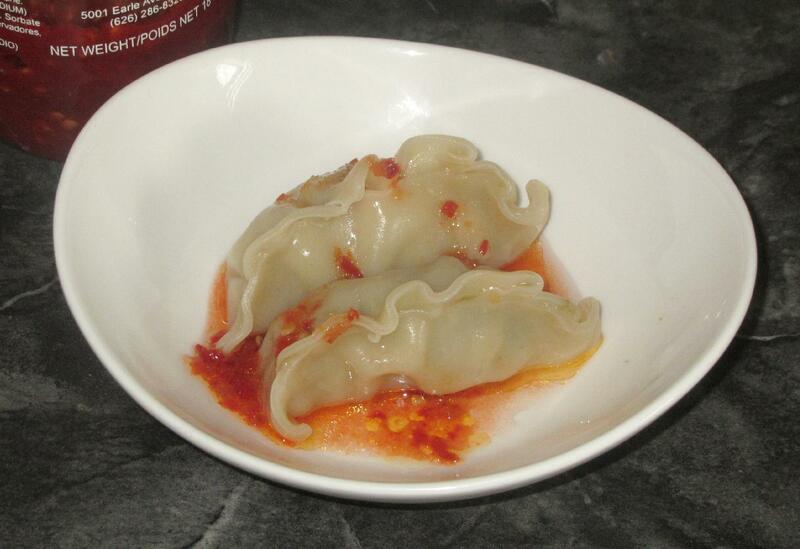 I bought two packages (12 dumplings in all) and tried all 4 methods exactly as according to instructions. 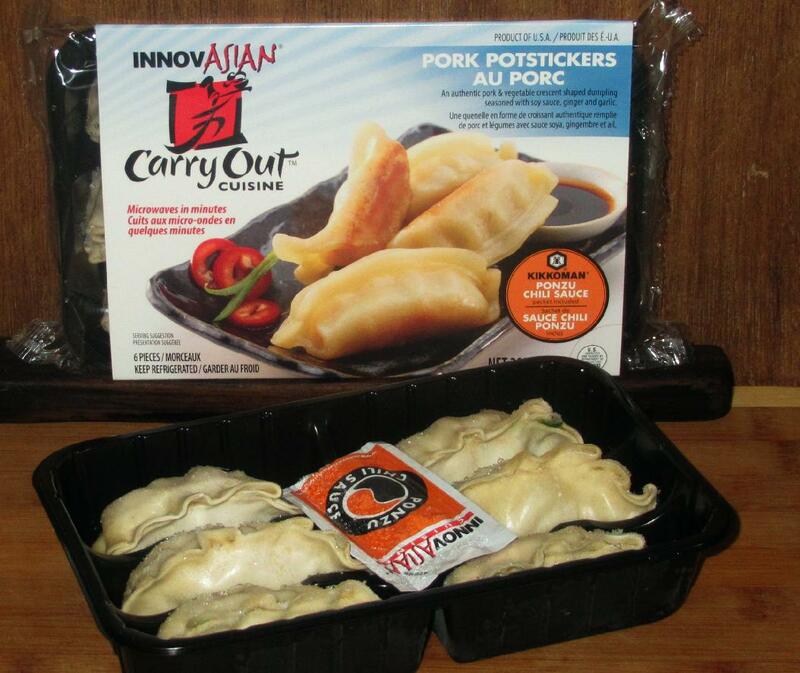 Curiously, the package fails to state whether one should thaw the dumplings before cooking but, as it did not specifically say to do so, I cooked them from the frozen state in each case. Microwaved – Normally, I wouldn’t bother with microwaving this sort of foodstuff but the package described this as the ‘preferred’ method and I was curious to see why. I ‘nuked’ them for the recommended 90 seconds (which actually seemed a bit short for frozen dumplings) and they ended up being piping hot all the way through. The wrapper, however was quite tough and chewy in places and I honestly can’t see why one would choose this cooking method over the others. Boiled – I boiled these for three minutes (as suggested) and the centers were still a little cold. Five or six minutes would be better… The wrappers, although just a bit ‘doughy’ were much better than microwaved and even the filling seemed to taste better for some reason. 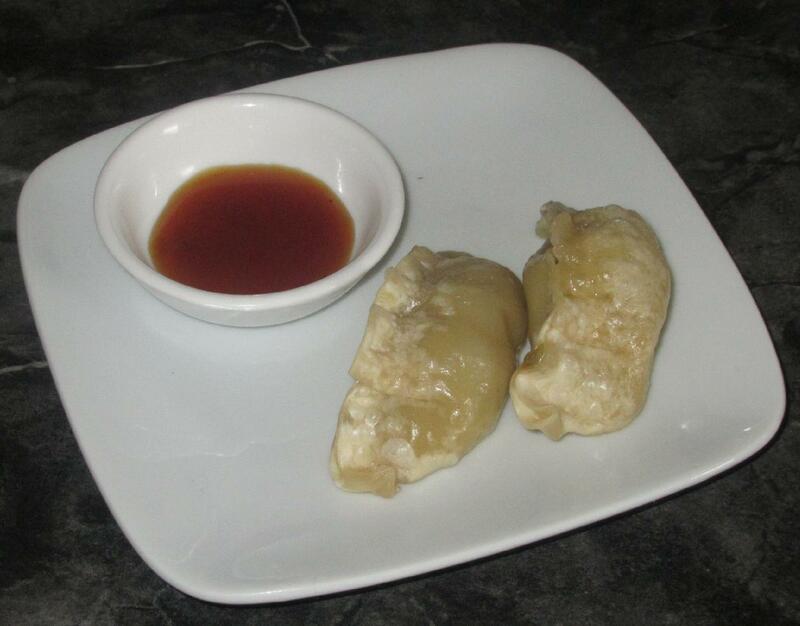 I served these with a sauce I made from chili past, vinegar and a little sesame oil and it went along side very nicely. 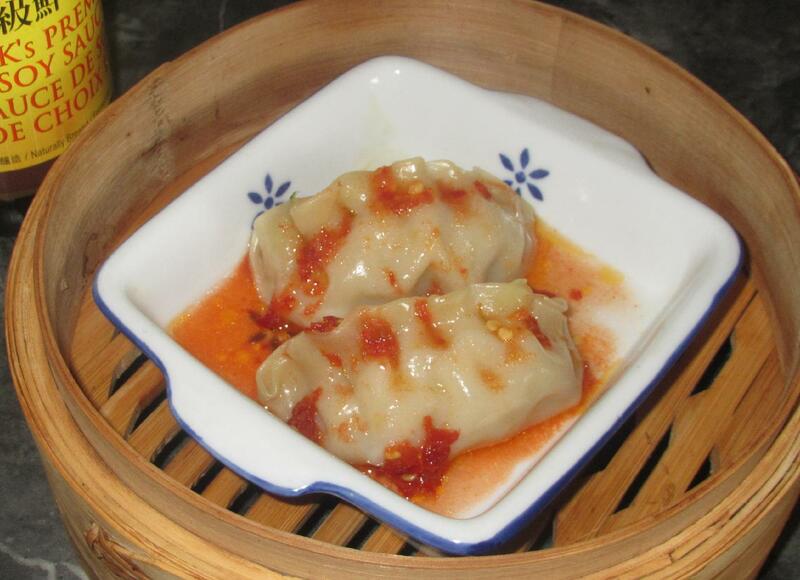 Steamed – These ended up very much like the boiled version except that the recommended cooking time of 8 minutes heated the filling thoroughly. The wrapper was still a little doughy but not unpleasantly so. Pan-fried – This method turned out to be the best (somewhat to my surprise). The wrappers were very nicely al-dente soft and they lost the slightly ‘doughy’ texture and taste that marred the end result with steaming and boiling. 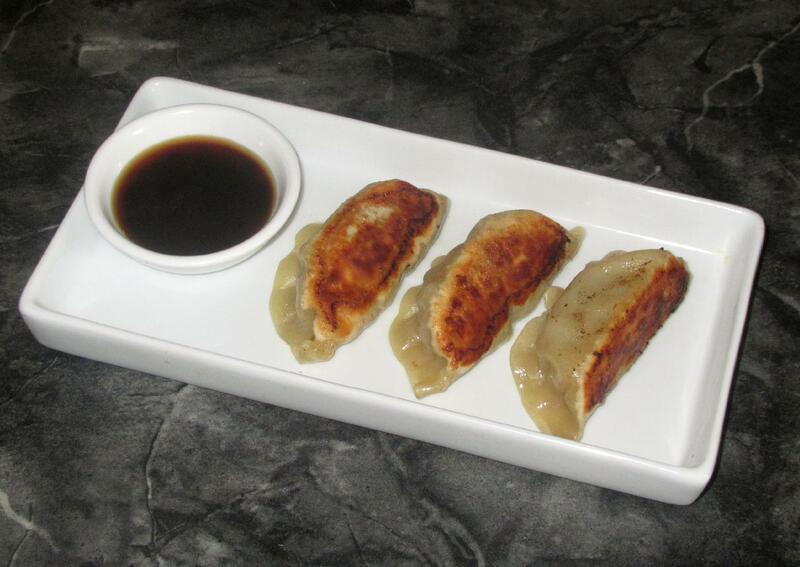 The only thing I didn’t like was that the dumplings were just a bit greasy. I think this could be remedied by using half as much oil, decreasing the heat and cooking for a bit longer. Other than that, however, the method worked nicely.